Online reviews are serious business. As was mentioned in a previous post, people trust online reviews just as much as word-of-mouth reviews from friends and family. This clearly means that there is a value for businesses in getting their customers to leave online reviews. Unfortunately for some business owners, one of the most popular user review sites, Yelp, has a filtering system that turns the clear path to marketing success into a murky nightmare. 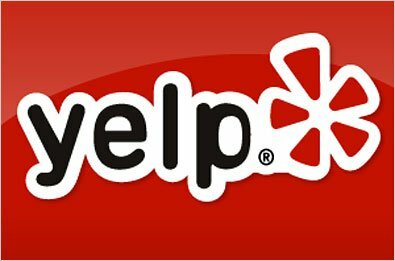 This post will help explain why the Yelp filter can be an obstruction to good reviews, how business should handle negative reviews on Yelp and a few alternatives for Yelp that businesses can encourage their customers to use. 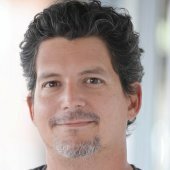 In order to ensure the accuracy and integrity of the review system, Yelp uses a filtering algorithm to block reviews that are, in the words of the Yelp head of corporate communication, Vince Sollito, ‘fake and malicious, or shill’. The biggest problem business owners have with the Yelp filtering system is that it often allows negative reviews of questionable integrity while blocking many legitimate reviews under the guise that they were influenced by the business owner. The owners of a family pizzeria in Woodenville, WA saw negative reviews before the store opened. Another part of the issue is that Yelp is more likely to filter five-star reviews and reviews from new reviewers than anyone else. A recent study of 316,000 Yelp reviews of more than 3,600 Boston restaurants showed that Yelp had filtered about 16 percent of them. It also showed that Yelp is far more likely to filter rather than publish a review that has one or five stars. While this does a lot to catch bad reviews, it also means that a lot of a business’s best reviews will be filtered. Only about one in four five star reviews were reported as published by the study. The same study also showed why encouraging customers to leave reviews on Yelp may do more to help Yelp than the business. According to the study, more than 70 percent of accounts that only had written one review had that review filtered. This means that if a business owner encourages customers who aren’t already on Yelp to leave a review on the platform, if their first review is for that business, that review will most likely be filtered. So Yelp gains a user, and the business would gain nothing in terms of increasing their star rating. There are even claims that Yelp improperly influences the filter system in favor of their paying advertisers. A tutoring service in Venice, CA. said when he only had a single negative review showing while the positive ones were filtered, Yelp approached him to advertise. Yelp feverently denies these allegations. “Let me be clear: This claim is not — and has never been — true,” wrote Vince Sollitto in a May blog post defending itself. Business aren’t forced to use Yelp, of course. Using Google+ is the ideal alternative for businesses that don’t want to encourage people to use Yelp. The reviews are integrated into the mapping system (Google Maps) that most people use on the Android and iOS devices as well as on their computers. Back in July, the Google Maps app for mobile devices added a new feature called Explore. It’s similar to Yelp in that allows users to find, rate, and see the reviews for local establishments. Another good alternative is Foursquare. The location-based service is best known for its check-in feature, but it also allows for user-generated tips. By mid 2013, Foursquare surpassed 33 million user-generated tips, which represents nearly a 65 percent growth from the previous year. This means that Foursquare tips are growing at a faster rate than Yelp reviews. The benefit of this is that businesses know that the people who are leaving the tips have certainly been to their location. Unfortunately, even if businesses try to encourage consumers to use more equitable review services than Yelp, the fact remains that people are using Yelp and negative reviews can hurt a business’s bottom line. Businesses should try to respond to negative reviews by replying with their side of the story. Though they must be diplomatic as not to start a large internet war over one small review. And as was explained before, asking customers to leave positive reviews is counterproductive because they will be filtered by the algorithm. While it’s an extreme measure, businesses can take legal action as well. Back in December 2012, a housing contractor sued a former customer for a review that was considered defamatory. The customer was ordered by a judge to remove comments posted on Yelp where they claimed the contractor stole jewelry from their home. If the false claim being made is serious enough (as a claim that a business robbed the consumer is), and if Yelp will not take action to remove the review, then legal actions may be appropriate. In an age of internet trolls and unscrupulous competition, false, inaccurate, and negative reviews will be a problem that businesses will have to tackle. Unfortunately, Yelp’s filtering system makes the platform more harmful than helpful to business owners, which is why they should actively seek to use other platforms with a better system for preventing false reviews. Yelp isn’t particularly responsive to the needs of businesses and the review filter is skewed toward allowing negative reviews. Online reviews are undeniably useful to a business, but when it comes to Yelp, don’t expect much help.